For many, the hardest thing about a diabetes diagnosis is accessing insulin — the expensive drug needed to keep them alive. She had no appetite and she lost an unusual amount of weight. Then after a trip to the emergency room, Lautner, who was 22, was diagnosed with Type 1 diabetes. The diagnosis was life-changing. To start, it meant that for the rest of her life she would require insulin injections every day to stay alive. Unlike Type 2 diabetes, which can sometimes be controlled by diet, people with Type 1 diabetes need daily insulin injections to regulate their blood sugar. “I cried harder over losing my dream to fly than I did at the diagnosis of Type 1 diabetes,” Lautner said. “I thought, ‘My goodness, there’s more people than me. I’m not the only one out here,’” she said. Since then, Lautner has joined a group of consumer activists, people who need insulin to live and are angry about the sky-high prices. 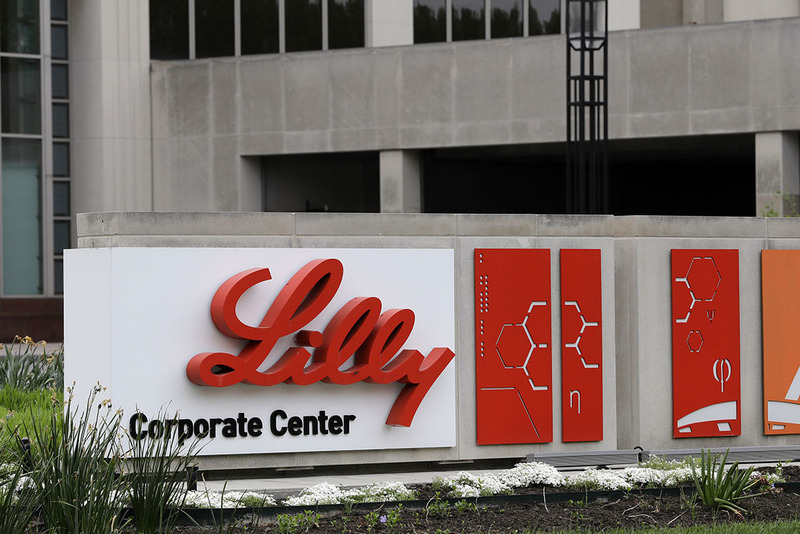 They are putting pressure on the three main companies that make insulin: Sanofi of France, Novo Nordisk of Denmark, and Eli Lilly and Co. in the U.S.
There’s been some action by lawmakers on the issue. In October, Minnesota’s attorney general sued insulin manufacturers alleging price gouging, and a bipartisan caucus in the U.S. Congress issued a report in November urging action to bring insulin prices down. Nonprofit group T1International, which advocates for Type 1 diabetes around the world, with a particular focus on insulin prices, has started holding rallies outside the Indianapolis headquarters of pharmaceutical giant Eli Lilly and Co. Protesters hailed from at least 12 states, mainly Ohio, Illinois, Indiana, and Kentucky, but also from as far away as New York. Lautner, who now lives outside Cincinnati, rented a school bus with a dozen others to make the 112-mile trip. Last spring, the fight got even more personal for Angela Lautner. She got a letter from her insurance company saying they were no longer going to pay for the insulin she was taking. They wanted to switch her to a different brand. Lautner has found that the long-lasting insulin brand Lantus works best with her body; it keeps her blood sugars low, but not so low that she becomes dangerously hypoglycemic, risking death. But her insurer was dropping its coverage of Lantus in favor of a different long-lasting insulin, Basaglar. Lautner’s doctor connected her to Sanofi’s drug discount program, where she was able to get a month’s supply of Lantus for a couple of hundred dollars. So she decided to pay for the insulin herself. “I’m fortunate enough to have an emergency fund,” Lautner said. This year, Lautner organized her own group of diabetes activists in Kentucky, Ohio, and Indiana, called KOI Insulin4All. They’ve met with legislators in all three states about establishing emergency insulin prescription refills and about making the cost of insulin more transparent. There are similar groups starting up in Oklahoma, Pennsylvania, Minnesota, and Illinois. In November, activists protested outside the Cambridge, Massachusetts, office of Sanofi. All of them are pushing for the same thing — to make the voices of people with diabetes heard. This story is part of a reporting partnership with NPR. Kaiser Health News is a nonprofit news service covering health issues. It is an editorially independent program of the Kaiser Family Foundation, which is not affiliated with Kaiser Permanente.